May 24, 2017 / STORIES OF "I DO"
We first met Stuart and Rachael at their Kirkstall Abbey engagement shoot in March, along with Stuarts son, and soon to be best man, Charlie. 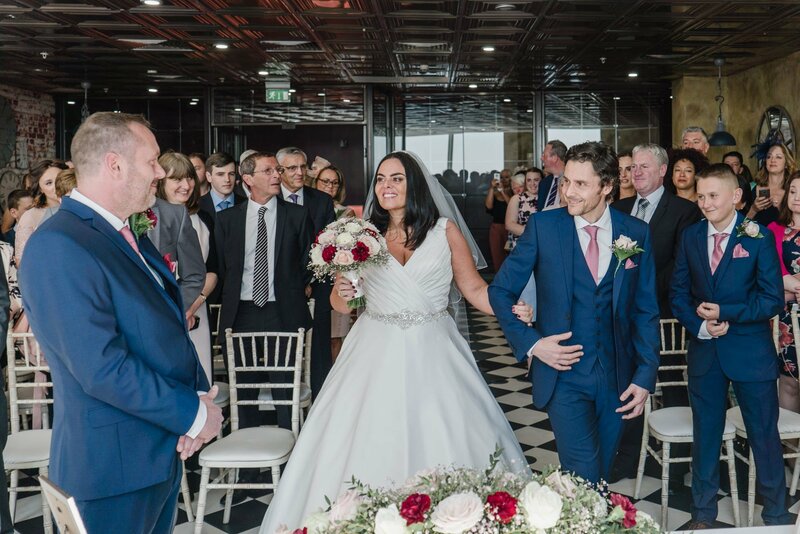 It wasn’t long until their Manchester wedding, held at On the 7th in Media City. A beautiful May wedding in a fabulous city location. 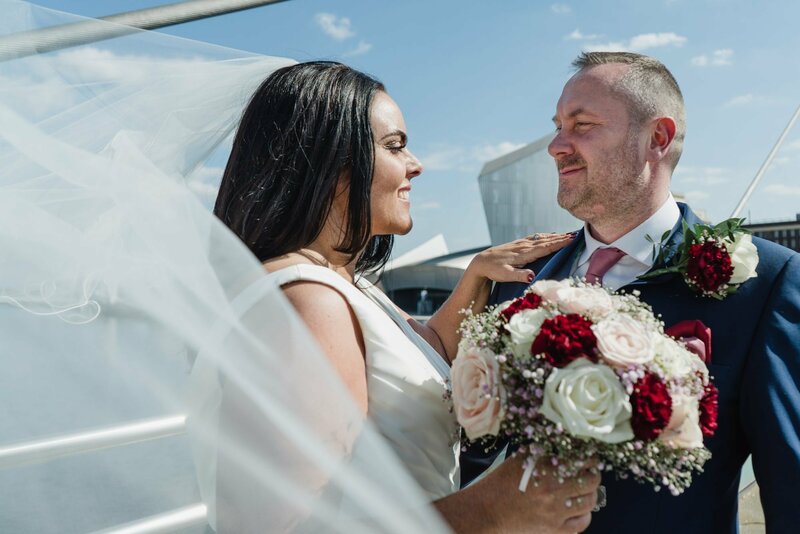 The sun was shining, and we were able to capture great shots of the city as well as in their modern New York loft style venue ‘On the 7th’. An absolutely perfect day we are now able to share with you, our sneak peek gallery of their day. Soon we will be sharing their full wedding gallery and sending them out their personalised Stories of I Do USB stick. Our day started in Manchester with Bridal party prep and groom preparations. One of the perks of Stories of I Do being a team of two wedding photographers is that we can be in two places at once! 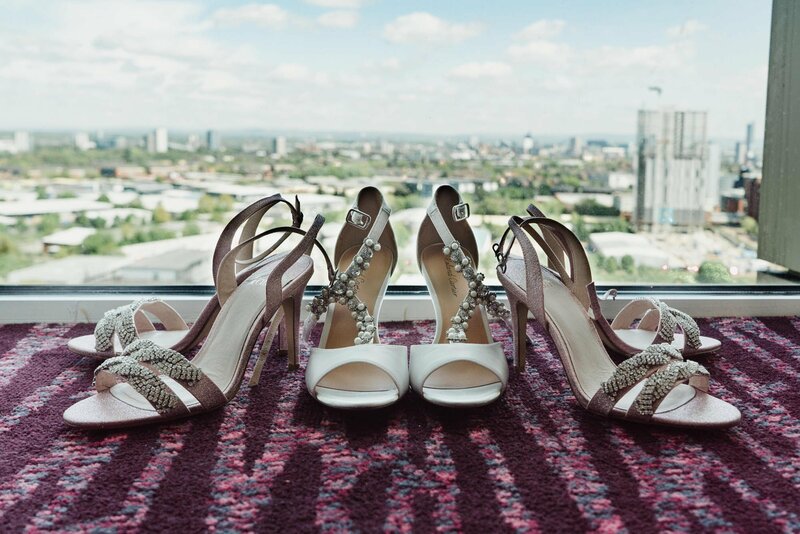 As you can see from our shot of the bride and brides shoes, their bridal prep was very high up with fantastic views over Manchester! Our favourite photograph from their big day was the first look as Rachael came down the aisle. The love between them both just before saying their vows. Rachael was given away by her brother Nick and he and best man Charlie could not look happier for the couple. As we edit all of their photographs, there are only a few more previews from their special day. One of their portrait shots on the bridge at Media City and another of the newlyweds first dance. Rachael and Stuart’s first dance is spectacular, the venues checkerboard floor looks incredible. 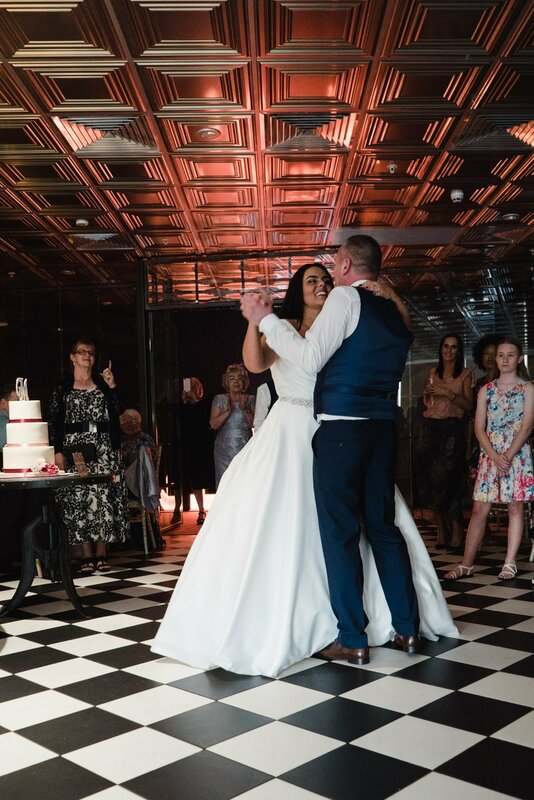 Rachael and Stuart had a perfect Manchester Wedding, and we are busy editing all of their Media City wedding photographs so will be sharing them all soon! 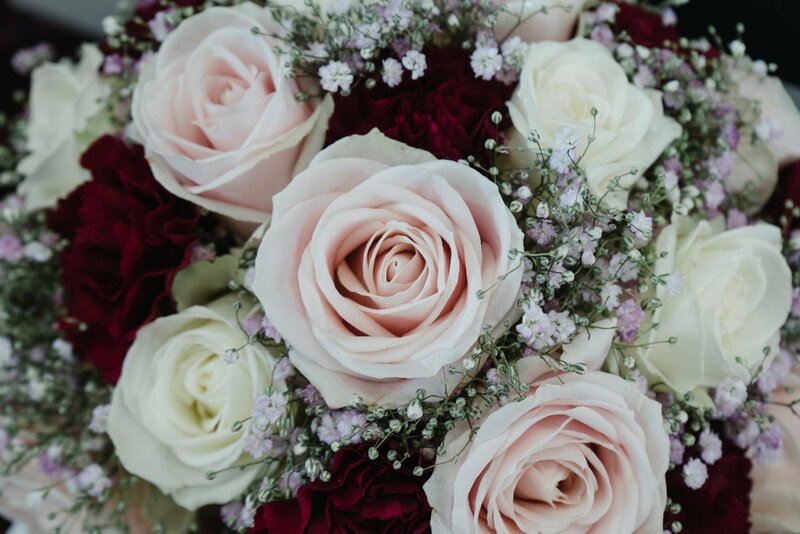 Sneak Peek – Andy and Debbie Thorne Methodist Church Wedding, Doncaster STORIES OF "I DO" Holme-On-Spalding – Luke & Steff – Viking Themed Wedding STORIES OF "I DO" J + G | Cheadle House Wedding Photography STORIES OF "I DO"